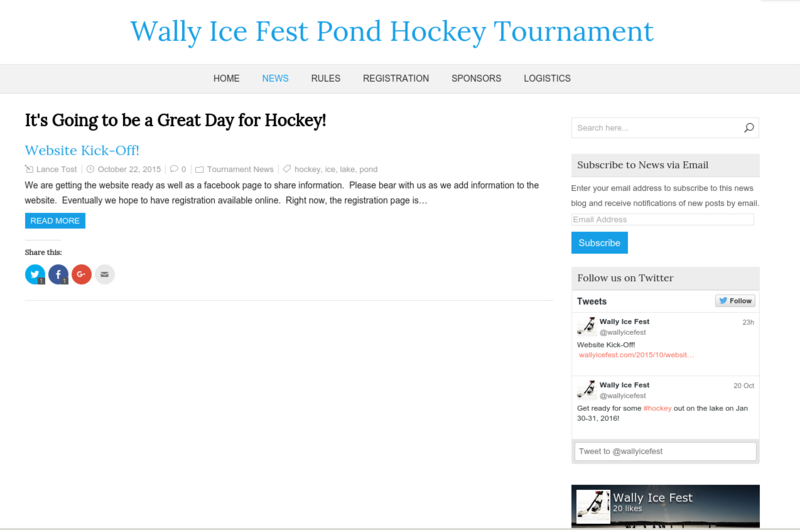 Information site for a local pond hockey tournament. 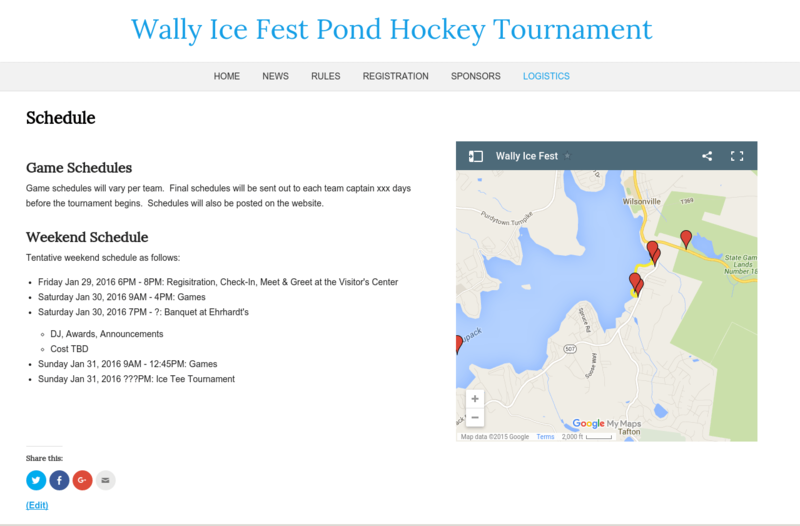 Initial phase is to distribution information about the tournament. 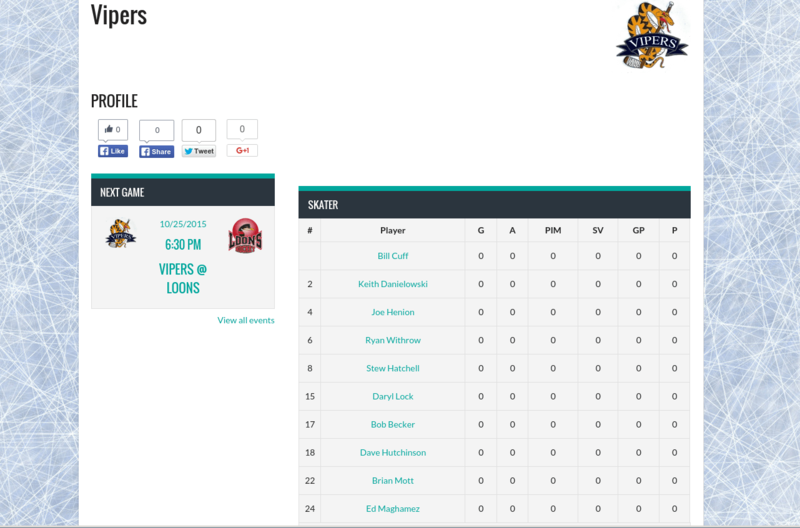 Information can be found on the site and is also automatically pushed out to Facebook and Twitter. Next phase will be to allow teams to register and pay online. 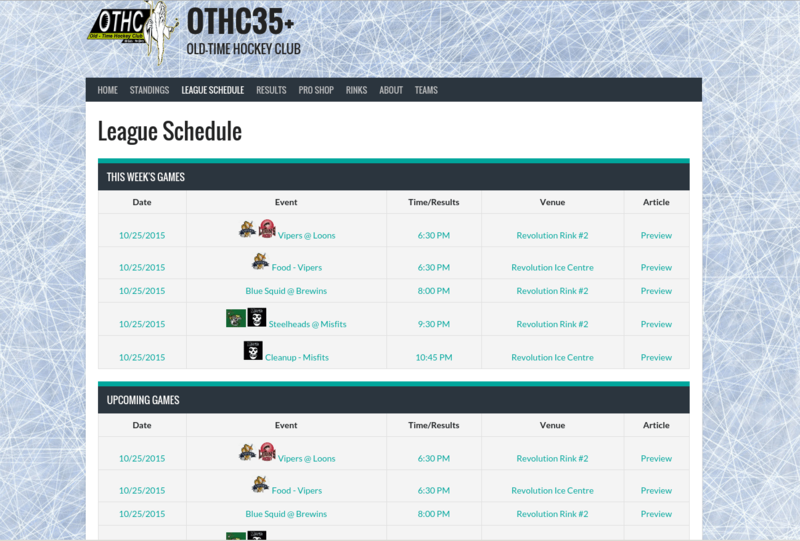 Third phase will be to provide teams and players with game schedules, score updates, and standings for 5 divisions of hockey. 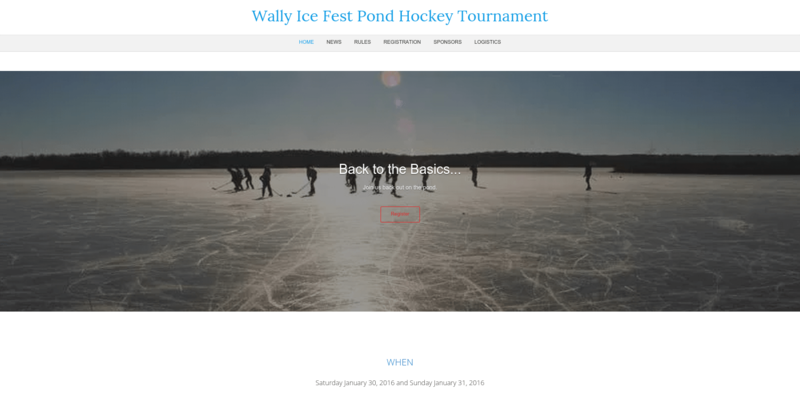 Final phase will be to provide a place for participants to share photos of the event. 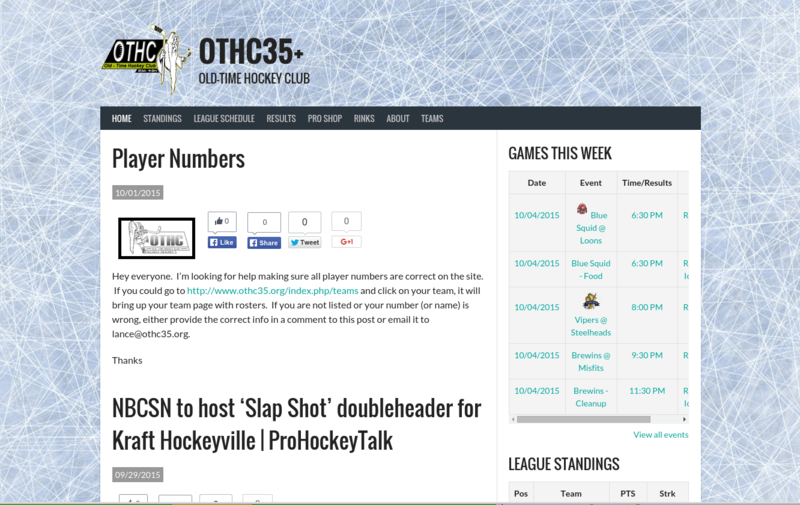 This site is for a recreational hockey league. 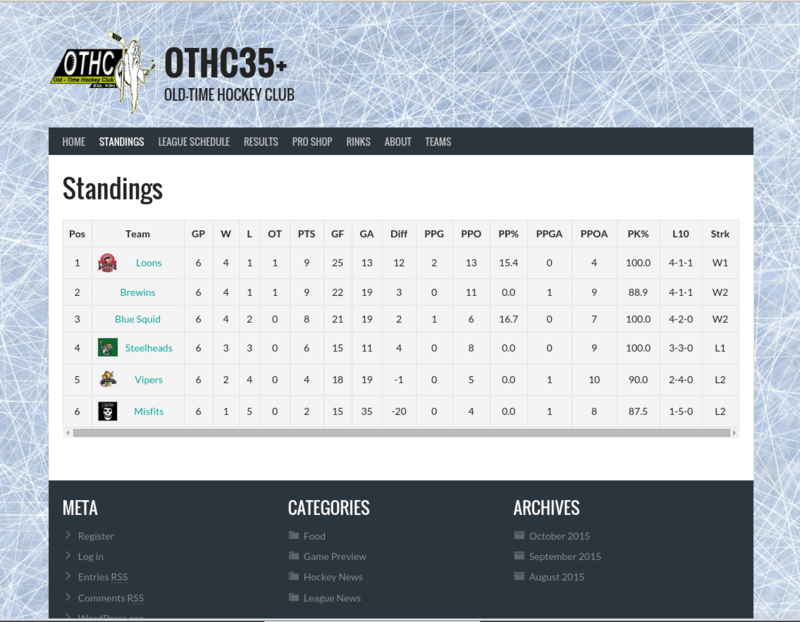 Players are kept up to date on their schedule, latest scores, standings, and league-related news.